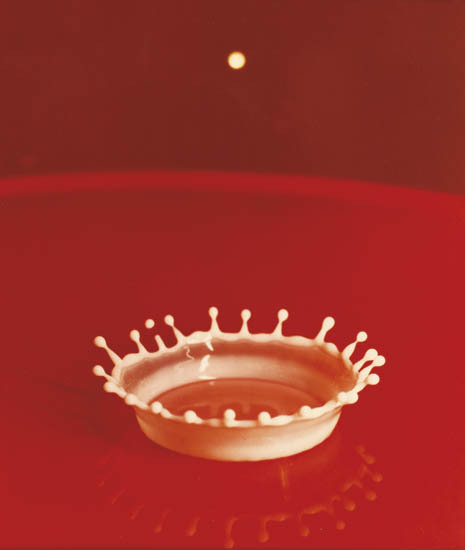 Harold Edgerton was a professor of electrical engineering at the Massachusetts Institute of Technology. He is largely credited with transforming the stroboscope from an obscure laboratory instrument into a common device. For example; today, the electronic flash is completely associated with the field of photography. A fine example of his photographic work is this 1957 print titled "Milk Drop Coronet" from his Stop Motion Photographs.